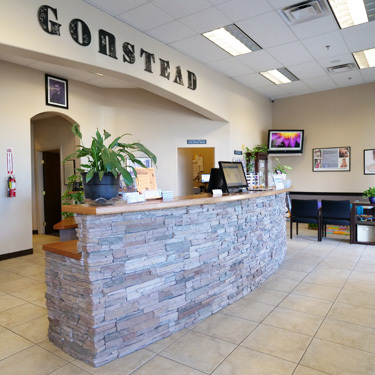 Welcome to Gonstead Family Chiropractic! 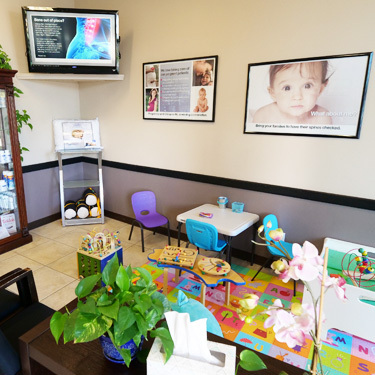 In our warm, open environment, our team is here to greet you with a smile. 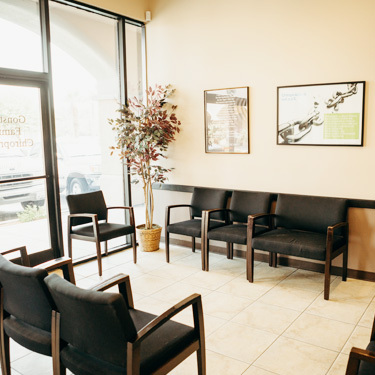 You can relax in our spacious reception area and listen to music playing softly or watch the television, which displays educational information, before you see your chiropractor. You’ll sit down with your chiropractor for a consultation, discussing what has brought you to us and whether we think chiropractic can help. If so, we’ll move forward with an evaluation and X-rays, if necessary. Please plan on spending about 45 minutes with us and wear comfortable clothing. 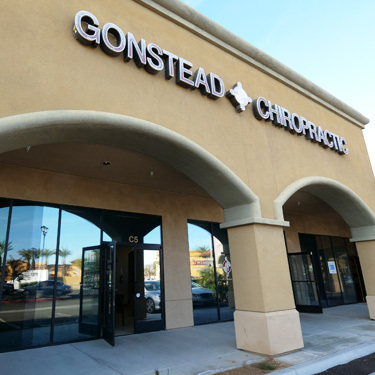 When you return, you and your chiropractor will meet to review the results of your first visit, called a report of findings. 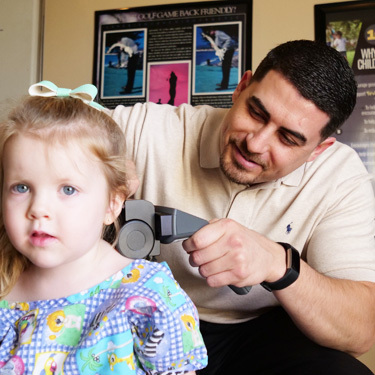 You’ll receive your first chiropractic adjustment and get the appropriate aftercare instructions, such as applying ice to the affected area. Many people have heard that they have to go to a chiropractor for life once they start. That’s a common myth surrounding chiropractic care. The truth is, when people experience the benefits of chiropractic, they choose to keep going for regular visits. When they contrast what they’re capable of after chiropractic with how they felt before becoming a patient, they decide to continue care. We want to be a health resource for the people in our community. Our team is proud to offer health talks and classes. Contact us today to find out when our next event will be held!